The tradition now known as Kashmir Shaivism is an ancient tradition which found its roots and flourished in the Valley of Kashmir. This valley, known as sharada peetha, (seat of learning), has remained a center of spiritual learning for over two thousand years. Many seekers made the arduous journey over the rugged Himalayas to the Kashmir Valley to enrich their knowledge. 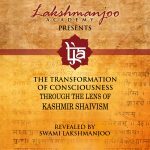 Timeless and with universal appeal the tradition of Kashmir Shaivism encompasses and gives full expression not only to the actual nature of reality, but also to the means to be employed to realize this reality. This teaching lays bare the very secrets of life. Early on the saints and sages of this tradition realized that because of the possibility of the misuse of the powers it revealed, these teachings should be concealed; hidden from that person who might attempt to use them for her or his own per- sonal selfish gain. For this reason the texts were encoded so that they would only be accessible to one who had the key, the key of the oral tradition which has passed from master to disciple in an unbroken chain. And this chain continued from ancient times to the present. It is by the grace of God, that even at times of great threat, Shaiva masters protected these teachings from possible extinction. Swami Lakshmanjoo was the last in an unbroken line of Kashmir Shaiva masters. As a boy his life was filled with a spiritual thirst to know and realize God. From a very early age he was filled with spiritual experiences. In fact these experiences were so intense that his parents thought he was suffering from hysteria. They were very concerned and approached their family guru, Swamiji’s grand master Swami Ram, requesting him to help their son with his hysteria. Swami Ram laughed and said to them, “Don’t worry, I should have such a disorder.” As Swamiji grew older his desire to completely realize and apprehend the world of spirituality became paramount. To make this a reality he sat at the feet of his guru Swami Mahatabakak and took up the study and practice of Kashmir Shaivism. He became completely engrossed and enthralled with his spirituality wholeheartedly practicing day and night, ultimately experiencing the fullness of Kashmir Shaiva realization. It is to his beloved Kashmir Shaivism that he devoted the whole of his life teaching it to those who asked and translating and commenting on what he considered to be the most important texts of this system. He became renowned as a philosopher saint steeped in the tradition of Kashmir Shaivism. With the growing interest in Kashmir Shaivism over the last thirty years, hardly any publication has appeared without a mention of his name. 1). Correcting transcriptions to create perfect records of Swamiji’s lecture/translations. 2). Editing and publishing Swamiji’s lectures and translations. John Hughes is the editor in chief of the Universal Shaiva Fellowship and the Lakshmanjoo Academy. 3). Providing for study and worship according to the tradition of Kashmir Shaivism. We have a study group that meet on Sundays. An online study course has been created and more are in the planning. 4). Creating social media content with daily updates and weekly new excerpts (Blog/Swamiji says), and answering questions and providing information online and by phone. In 1982, at his Ashram in Srinagar Kashmir, Swami Lakshmanjoo sanctioned the establishment of the Universal Shaiva Trust. 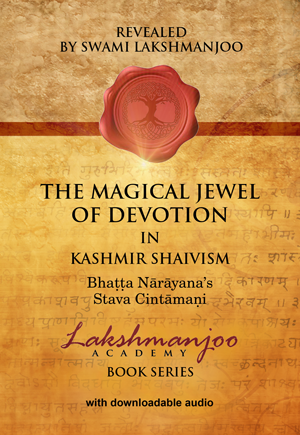 In that same year the first publication titled “Practice and Discipline in Kashmir Shaivism” was published by the Trust. The second publication, “Kashmir Shaivism the Secret Supreme”, was presented to Swamiji by John Hughes on the occasion of his Birthday celebration in 1985. Below is a copy of the Bylaws of the Universal Shaiva Fellowship. To establish a permanent place of worship in the tradition of Kashmir Shaivism. Singing Shaivite Hymns of praise and supplication. Partaking of sacred Shaivite Sacraments. Studying the sacred Shaivite Scriptures as taught by Swami Lakshmanjoo. Sharing fellowship among community members. 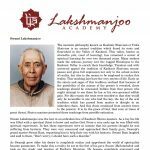 To acquire, translate, publish, and distribute the teachings of Kashmir Shaivism as taught by the late Shaivite Master Swami Lakshmanjoo Raina of Kashmir, India, as well as other Shaivite Masters such as Abhinavagupta, Kshemaraja, and Utpaladeva. Teachings will be made available in written, audio, and video formats. 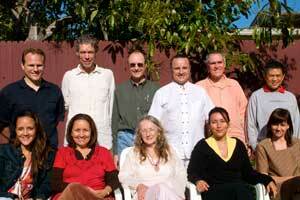 Fund programs and organize lectures, conferences and seminars on the teachings of Kashmir Shaivism. Hold meditation classes, havan’s (sacred Shaivite fire ceremonies), and courses on the practice of sacred Shaivite religious ritual practices. Prepare newsletters for the Shaivite community and the general public on the ongoing activities of the Fellowship. Arrange events of spiritual music and other related community functions which further the understanding of Kashmir Shaivism, without discrimination based on religion, caste, creed, race, gender, and nationality. Encourage strict adherence to vegetarianism and to follow the practices and principals outlined in the “Lectures on Practice and Discipline in Kashmir Shaivism” by Swami Lakshmanjoo. To complete all of this we need your help. We simply do not have the resources availabale to accomplish this very important work. Please help us with a generous donation so that our work can continue, any amount will be greatly appreciated.